Neat game, I like the concept! I found the controls a little tricky. One suggestion is if you use space bar as another option to fire the cannon, then the steam controller would work slick (without needing to tweak keyboard mapping for it) out of the box. A little faster firing I think would make it a little more fun/addictive! @pouleyKetchoupp I did consider making it totally mouse controlled, but yes, I thought it would make it too easy. If I do a mobile version I'll have to rethink it I reckon. @Grayt Apps Glad you liked it ! I had real problems with the cursor, I uploaded a new version a little while ago which just uses the default mouse cursor, as the cross hair graphic wouldn't work on Windows. nice simple graphics. I also like the fact that I have to make sure that the steroid leftover pieces also don't smash into my satellite, makes it realistic and fun. The two game mechanics are really working well together! I feel like some controls with mouse only (left/right click) might be easier to handle though, but maybe it's difficult on purpose? I enjoyed that. Good premise, and I like the particle effects when the asteroids explode. The only problem that I had was that the text scrolling across the screen made it a little difficult to see what was going on, but otherwise it's a fun game. My wife enjoyed acting as my wingman, controlling the astronaut. Collect the firepower power ups to increase the firing rate! 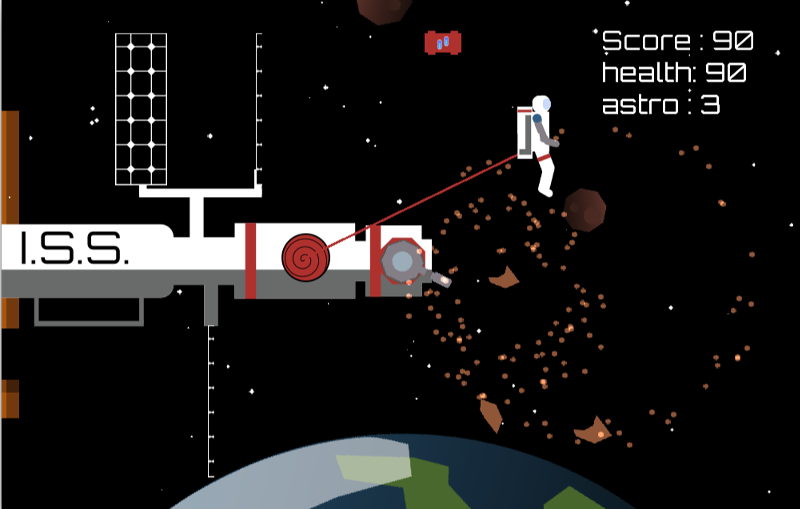 Pretty neat dual game-mechanic thing going on (shooting + picking up things with the astronaut). I wish the firing rate was a bit faster as well. Best look after him then! 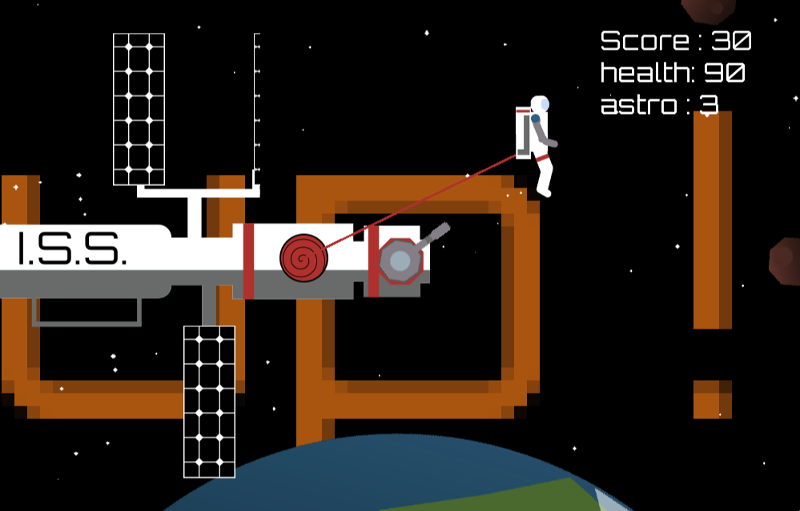 If you click the spiral on the space station, he'll get recalled and get his health back. ah yeah that's much more fun! yer completely buggered once your astronaut dies! Okay, I've removed the custom cursor, I don't know why it wasn't rendering correctly on Windows. Will look into it. 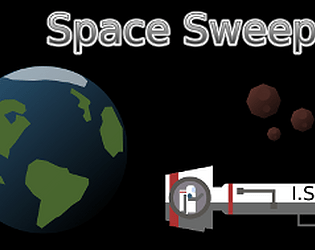 Have uploaded a new version with the fix and a normal mouse cursor. Ok I can't do that because print screen removes the hardware cursor! Okay, it looks like on Windows the mouse cursor graphic isn't showing correctly, it works fine on Linux/OS X.
I'll look into it and see if I can post a fix. Thanks for looking at my game! For me the mouse cursor is actually pretty big, it's a 32x32 sprite, not sure what's happened there. May be a Windows thing as I haven't tested it at all on there (will do though). 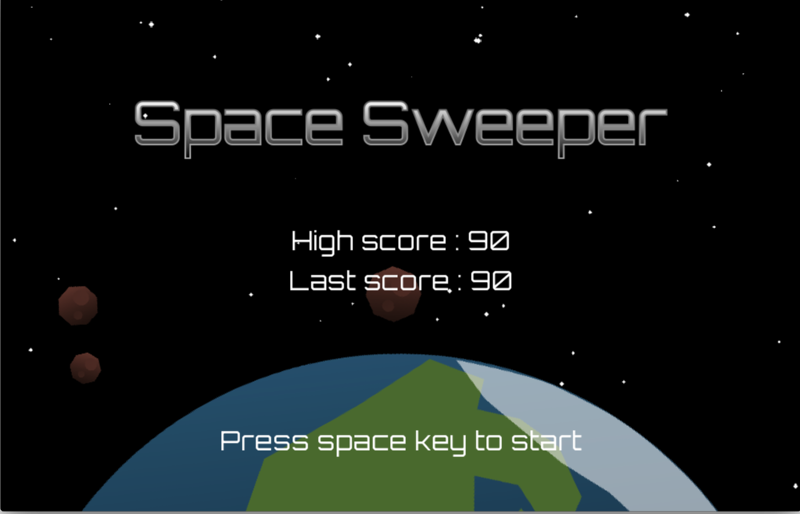 The gun speed increases as you collect powerups for it with the astronaut. Nice! Could do with some instructions. I don't think I managed to pick up any health kids. Space gun could be a bit faster. I like the way you display the title on the intro page. Many particles, very cool! HScore: 1120.